Bathrooms are mostly decorated for practicality instead of beauty, but no one said we couldn’t have both. 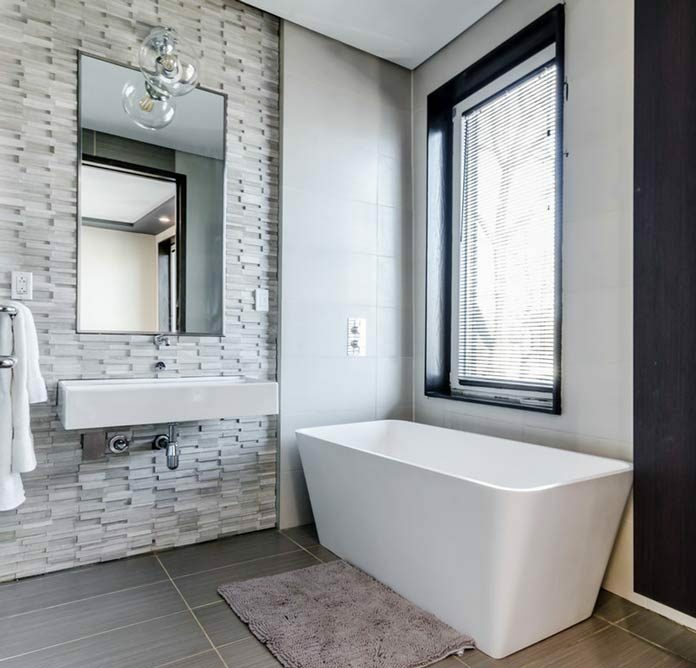 There’s no reason why you can’t turn your bathroom into a place a luxury and comfort by adding some simple features to it to enhance its already astonishing qualities. By doing so, you create a small piece of heaven right in your house or apartment. It’ll be much more relaxing to walk into such a bathroom to take a bath after a long day at work. Simply put, you’ll be creating your own personal spot to escape all the stress and worries of modern life, at least for a little while. 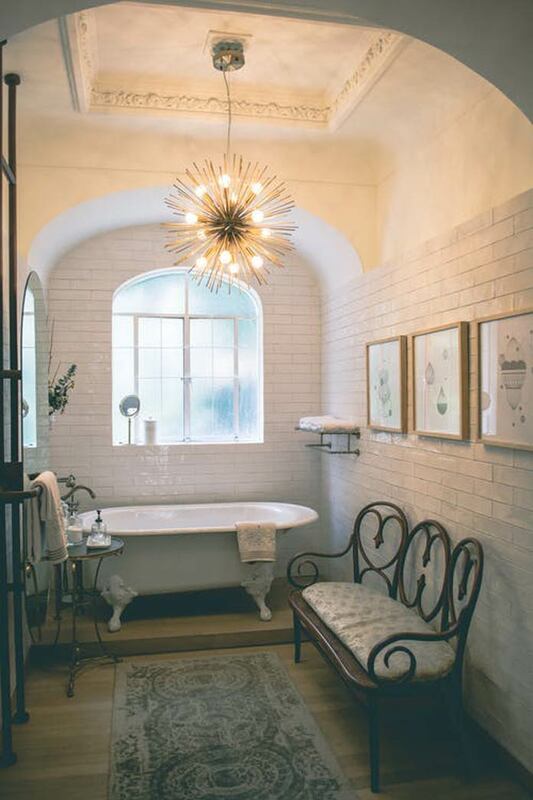 If you’ve got a big bathroom with room to spare, a good idea is to add some sort of seating area. This is a feature present in almost all luxurious bathrooms, and it makes the ambient look warmer and more welcoming. The area doesn’t have to have a lot of practical purposes, but that doesn’t mean it’s useless. You can always take a moment and enjoy the serenity and quiet a bathroom offers. It doesn’t have to be a lot either, you can just add a simple stool. If you’re feeling fancy, there’s nothing stopping you from adding an armchair or even a little couch. 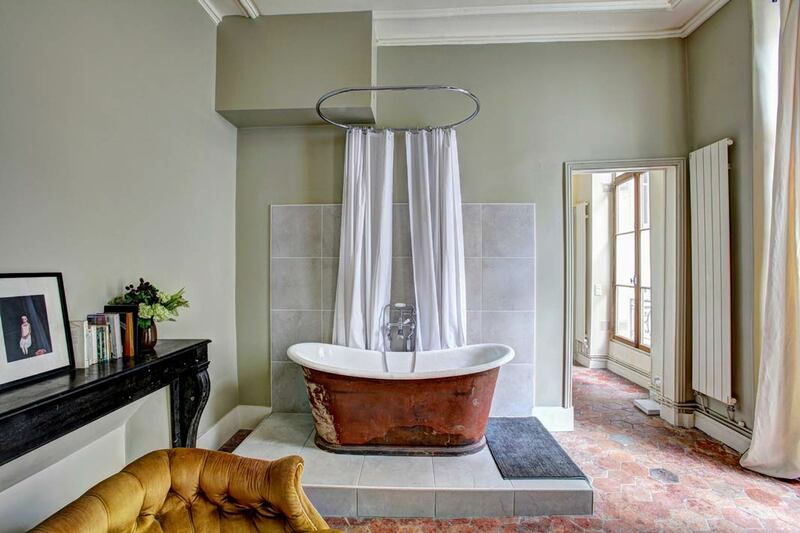 Bathtubs are an essential part of any bathroom, but no one said they needed to be boring. To spice up the interior of your bathroom, you can add a free-standing bath. There’s nothing that spells luxury more than a tub standing in the middle of the room. 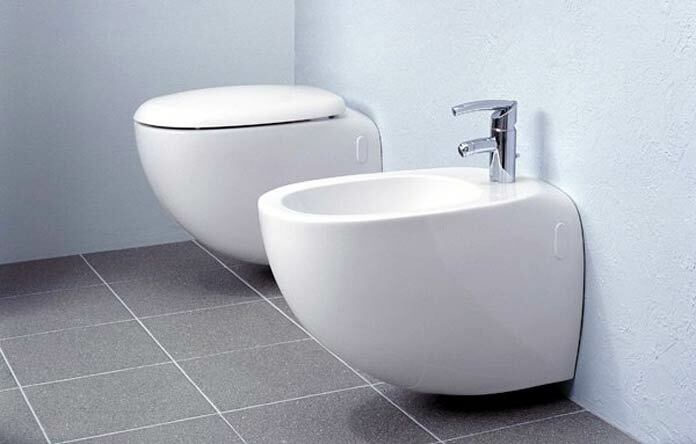 It’s also more comfortable to place a tub in the centre, as it leaves more space to include other features. There are various designs you can choose from, all depending on the style of the bathroom and your taste. 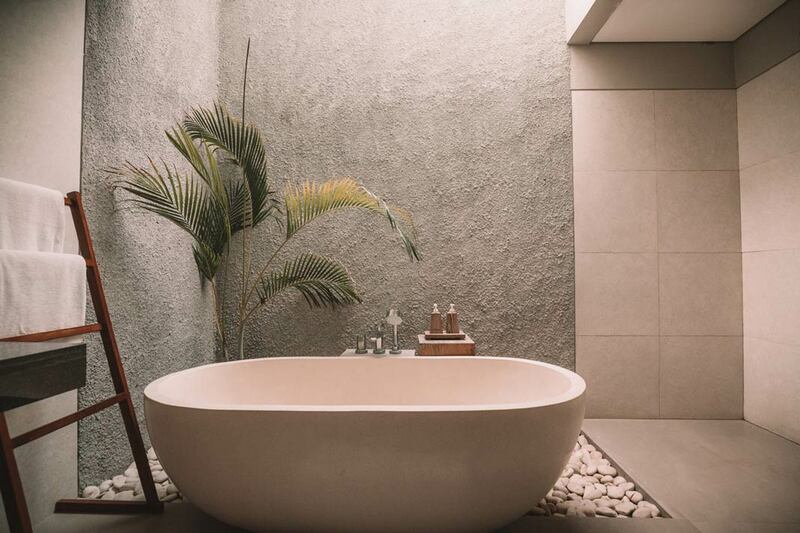 With a tub like this, you’re going to love taking long baths and relaxing after each stressful day. This is one feature not many people have thought about, but one that makes all the difference. Showering is a routine and mundane task, but it shouldn’t be. It’s something with the power to rejuvenate us and make us feel more energized and relaxed. That’s why a lighted shower-head can make you forget that you’re just taking an ordinary shower. It makes it a whole new experience. The light is powered by the water pressure and temperature and the shower-head can easily replace your existing one. This also means you won’t have to worry about your bill. Even though this seems like a feature you’d better add to your living room or entrance hall, it goes amazingly well with any bathroom interior. It ups the scale of luxury while not making your bathroom uncomfortable or stuffy. In fact, a chandelier is just the kind of thing you need if you want to promote a welcoming and warm environment. What’s more, it’ll make you feel like royalty. There’s nothing more pleasant than bathing in such a room that was designed to make you as relaxed as possible. Adding a beautiful bidet toilet is one of the best ways to showcase the extravagance of a bathroom. They originated from Europe and have been used there for centuries, so including one in your bathroom also shows you’re a man or woman of culture. They also provide a pleasant piece of décor to look at, as well as being healthier to use. They’re more convenient for many things regarding your personal hygiene, and that should be the main reason to include them in your bathroom. Prepare to be more comfortable than you’ve ever been while performing the most mundane of hygienic tasks. Investing in a simple towel warmer can significantly improve the quality of your life. You’ll never again have to face the inevitable cold after a shower in the winter. What’s more, towel warmers don’t take up a lot of room but make excellent decoration. They complete the bathroom like no other feature can, and serve you for a long time. On top of that, they’re not hard to install at all. No luxurious bathroom should do without one of these. As you can see, the items needed for a comfortable and luxurious bathroom don’t have to be hard to find. They’re widely available and easy to obtain, and they’ll make a huge difference in your bathroom. There’s no downside to upping the class in your bathroom, regardless of the opinion of some people that it’s excessive. We’re confident that you’ll be able to enjoy your new bathroom in all its glory after you’ve added some or all of these features.